Ever since 2004, International Cricket Council (ICC) give away awards to recognize the best international cricket players of the previous 12 months in the Men and Women categories. The winners for 2018 in women's categories were announced recently by the ICC. ICC Men's awards for 2018 is expected to be announced soon. In the men's awards, some of the biggest award categories are Sir Garfield Sobers Trophy (Cricketer of the Year), Test Player of the Year, and ODI Player of the Year Awards. Also, ICC will announce the Test and ODI Team of the Year during the award ceremony. 2018 has witnessed some great Test matches and brilliant individual performances. Players' performance between 1 January 2018 and 31 December 2018 are taken into consideration for all the award categories. 2017 ICC Men's Test Team of the Year: Dean Elgar, David Warner, Virat Kohli (captain), Steve Smith, Cheteshwar Pujara, Ben Stokes, Quinton de Kock (wicketkeeper), Ravichandran Ashwin, Mitchell Starc, Kagiso Rabada, and James Anderson. Here in this article, we take a look at the probable Men's Test Team of the Year for 2018. Despite a poor 2018 for Sri Lanka in Tests, Dimuth Karunaratne managed to have a great year with the bat. He opened the batting for the sub-continent side and was hugely consistent. Karunaratne has scored 743 runs in 17 innings at an average of 46.43, which included one hundred and seven fifties. A great year with the bat for the 30-year-old. 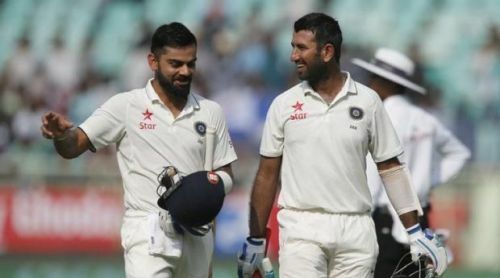 Cheteshwar Pujara got into the Test XI after a superb series against Australia. 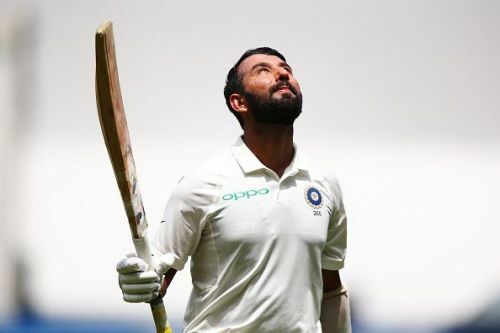 After the first three games in the ongoing series, Pujara has scored 328 runs at an average of 54.66. With two hundreds, he is also the highest run-getter in the tournament so far. All in all, the 30-year-old had a great 2018 with 837 runs from 23 innings at an average of almost 40.